Whether you’re looking for task lighting, decorative lighting, or shower lighting, recessed lights can do the trick. Recessed lights, also referred to as can lights, pot lights, or high hat lights, are energy efficient and last longer than ordinary bulbs. When you upgrade to integrated LED recessed lighting in your Spokane home, you can forget about changing your light bulbs for years. Between sophistication and function, there's no type of lighting that better combines these two ideals than recessed lighting. Recessed lighting is a type of lighting that is installed within a ceiling or wall. While this calls for a few more elements to consider, recessed lighting offers unique possibilities to customize a room's lighting layout and provide even lighting to important areas of the room that is unlike any other type of lighting. 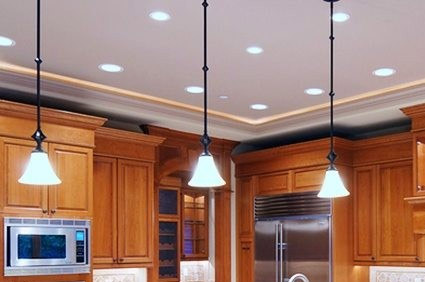 You might find that you have a few questions for our electricans on choosing the right type of recesssed lighting for your Spokane home. If you need help with recessed lighting, give the experts at Handyman Electric, LLC a call today at 509-993-0303.